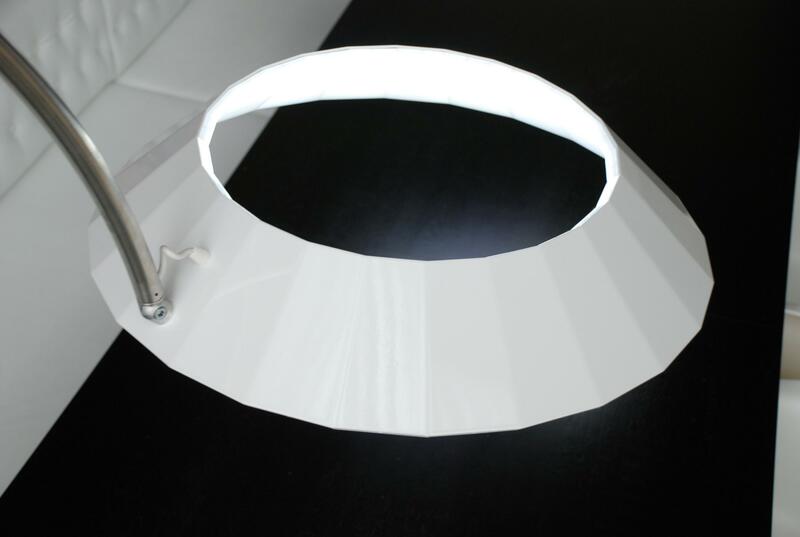 This 'holy' light has no light bulb; instead the entire inside of the hood itself emits light. 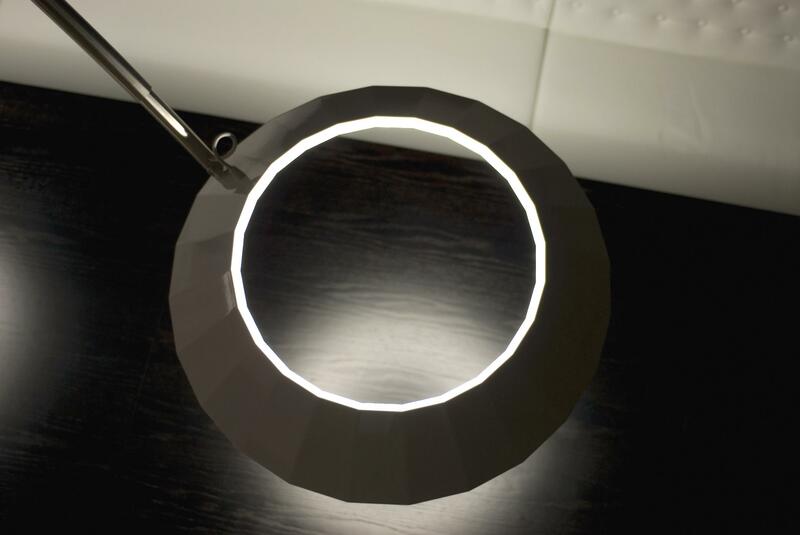 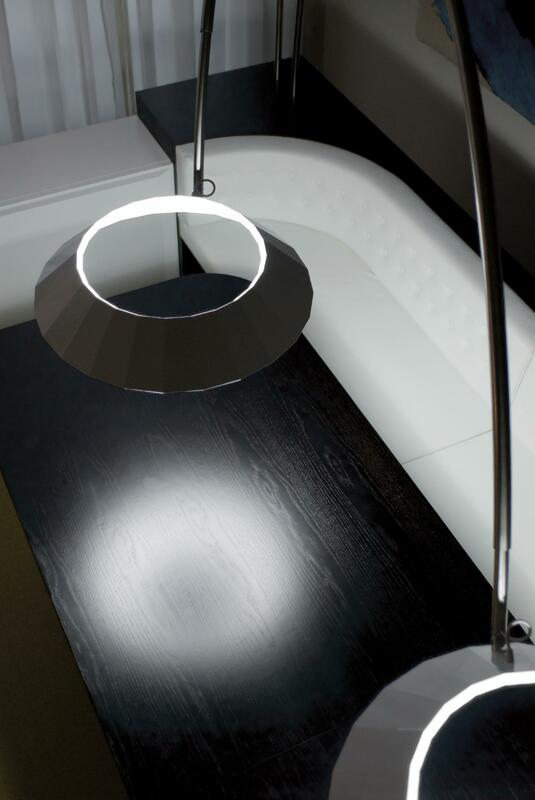 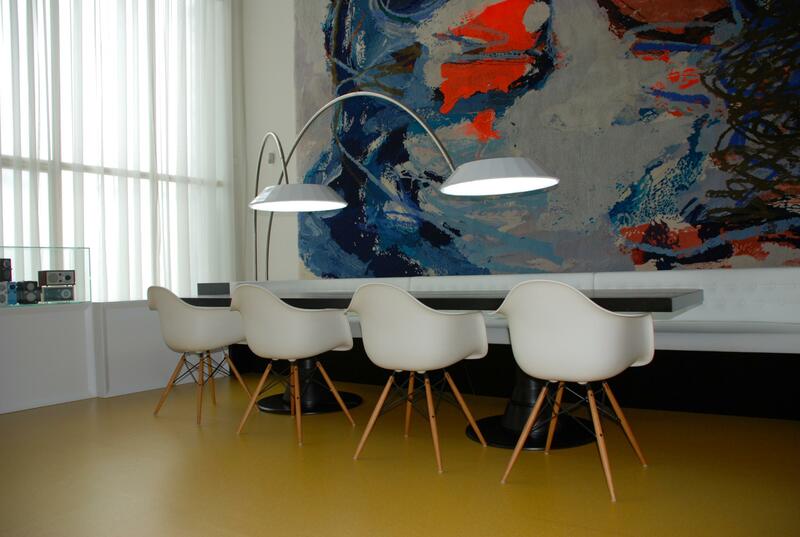 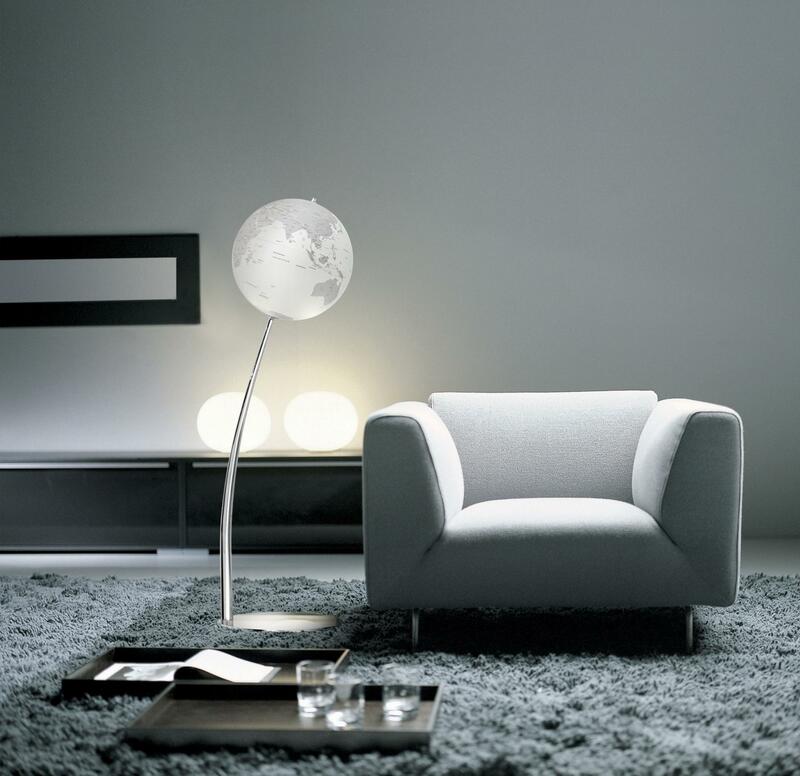 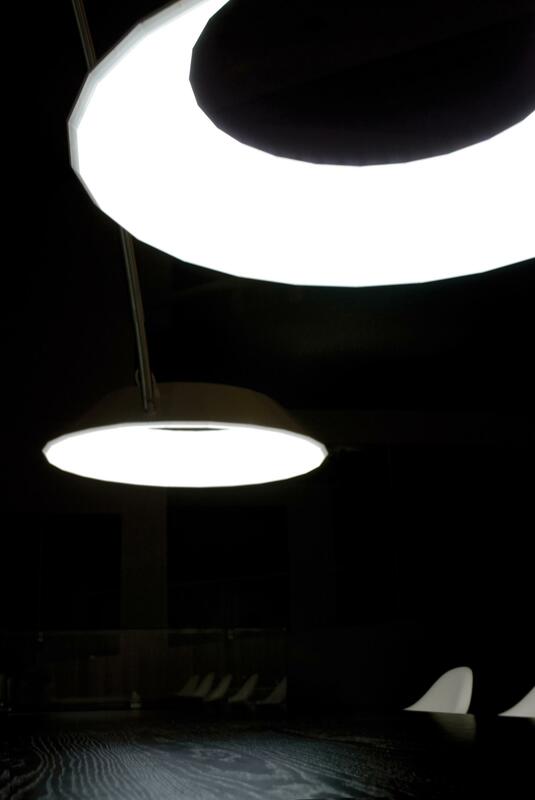 This makes for a functional light with a minimal yet intriguing visual impact. 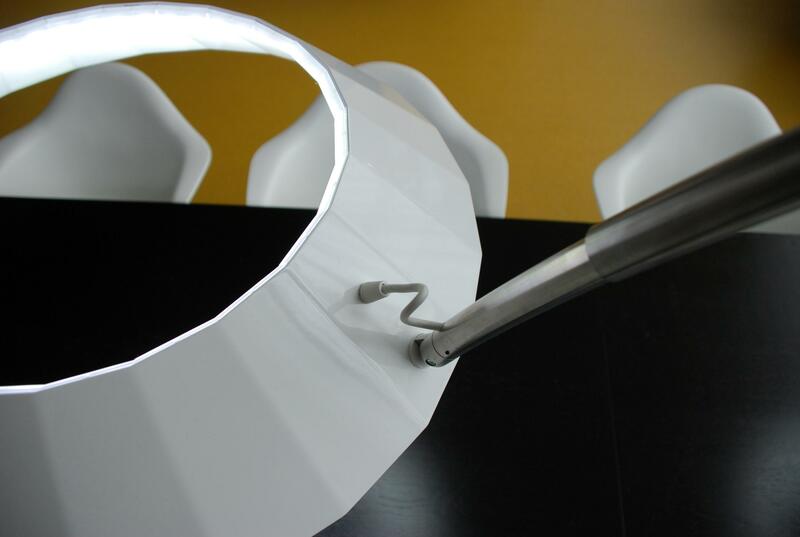 It's easily adjusted and suspended above a table with it's stainless steel arc, but it's also available for free hanging purposes ( cable suspended ) in bars, living rooms etc. 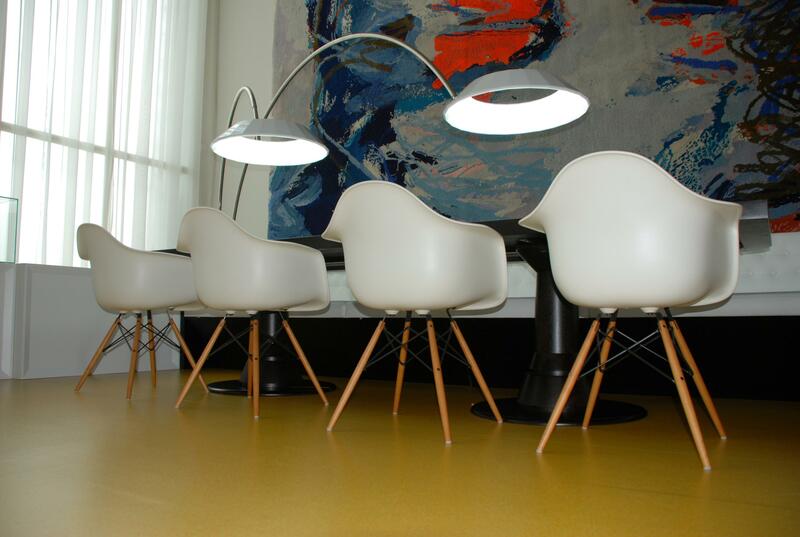 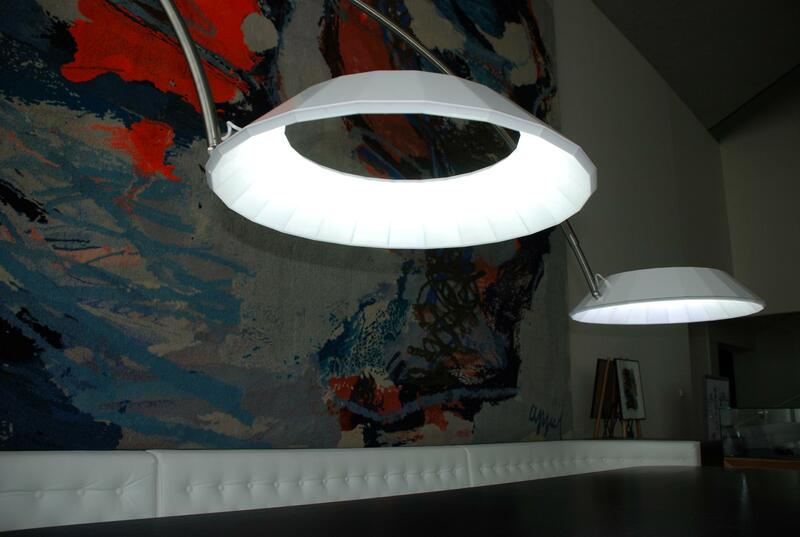 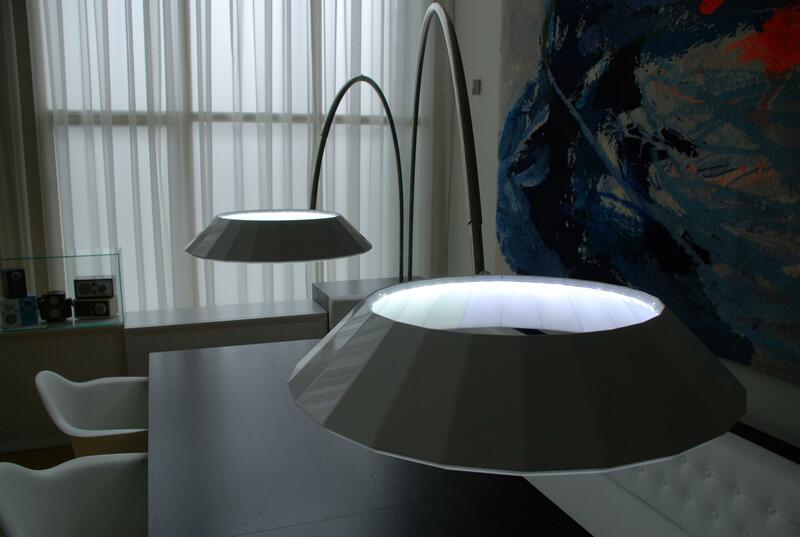 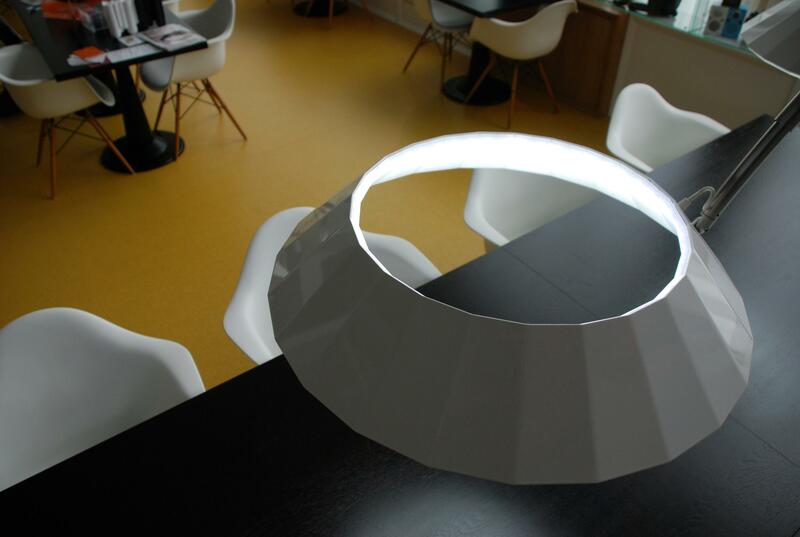 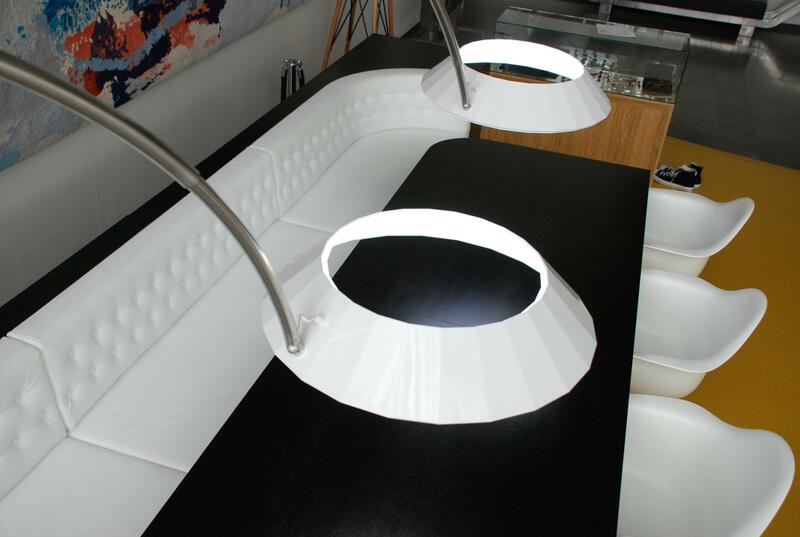 This light incorporates long lasting and environmental friendly led technology and the light output is dimmable.